The Winco 2575 Extra Large Padded Blood Drawing Chair features a 24 inch wide, padded and fully upholstered seat and back. Weight capacity of 450 pounds accommodates bariatric patients. 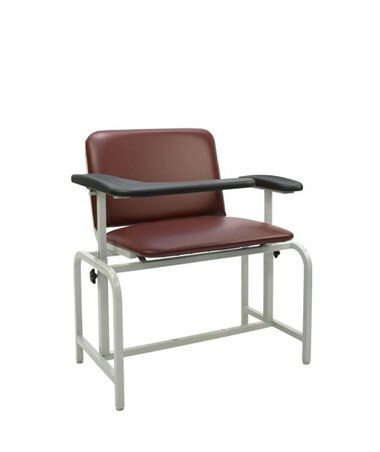 The 2575 Blood Drawing Chair features laminated cabinet and drawer with glides and sturdy leveling feet. Winco's Blood Draw Chair frame is constructed of powder-coated steel for strength and durability. 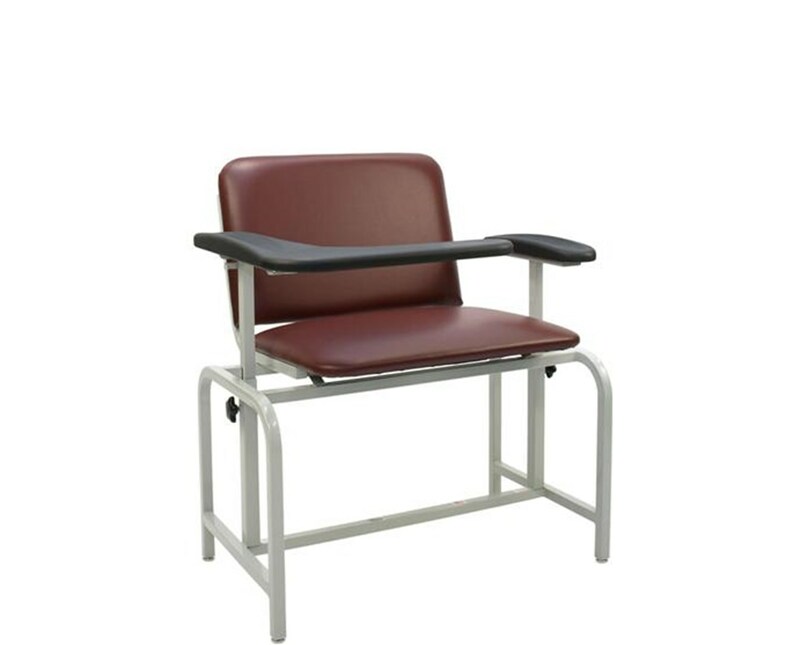 Winco 2575 offers a flip-up armrest that provides easy access for patients and added safety for the user. The Winco Blood draw chair is available in nine different standard colors (Group A). There are additional colors available at an additional charge (Groups B&C). Click here to see the colors in a new tab. Please note that color in the "Special Instructions" area at checkout. The following options, if desired, are available to select, just above the add to cart button on the top right side of this page. Please click on the drop down and select your desired product variation. Also, please note that there are additional charges for the following available additional options. If an option does not appear on the drop down, please note it in the "Special Instructions" box at checkout. Arm Height Adjustment 28.25" - 34.25"